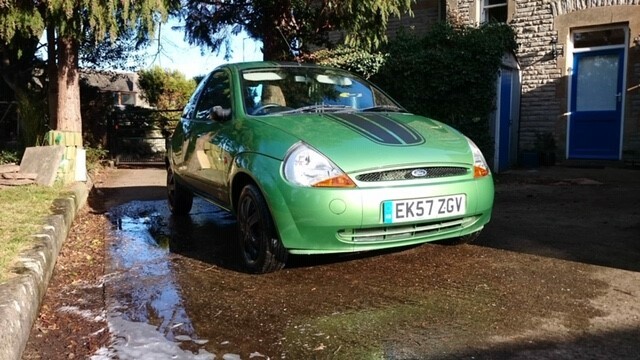 Up for grabs is this bright green Ford Ka! 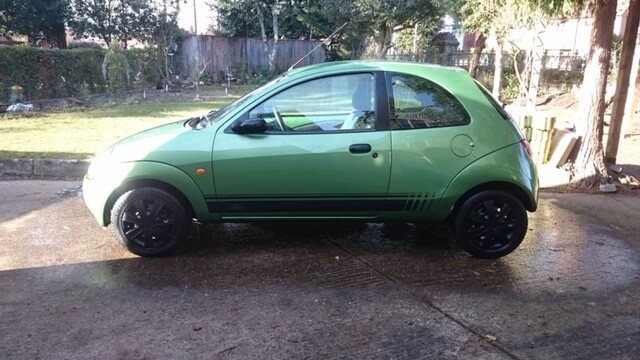 I bought this a few years back for my (now thankfully ex) wife to learn to drive. After she decided she didn't want it my brother had it from me as his car had failed it's MoT. It runs well - engine is smooth and Ka's handle surprisingly well!. Not a huge amount of rust - even round the fuel filler cap! It has been cared for well. 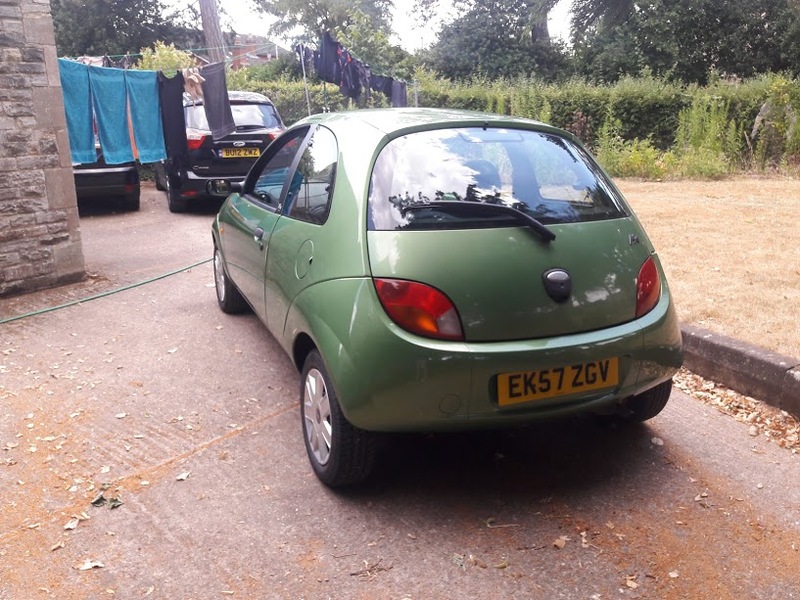 Did had to have some repair welding in the last MoT - was done to a decent standard, but it is a Ka - this won't be the last time it needs the sparkly stick! But to my knowledge there's nothing imminent. Heater is either on hot or off. probably needs a repair to the switch. 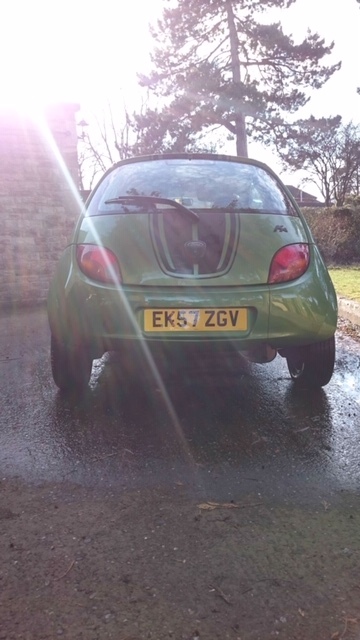 The price: My brother has it up for £750 on Facebook. Shiters discount applies so £650 to any of you lovely lot! So overall a fun little car - super if you're anything from 19 to 90! But I’ll give it a bump anyway. It’s a good little car! Throw in a broken Xbox? 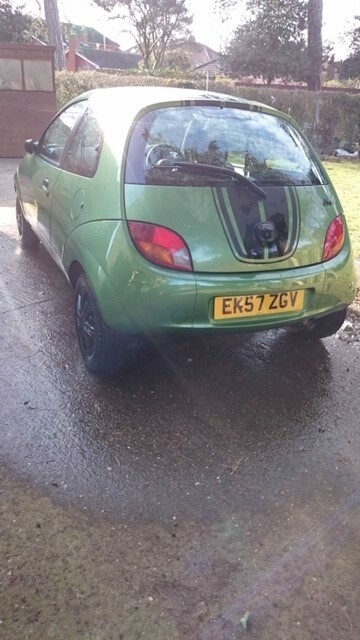 Never driven one -been passenger in a few...VERY tinny...almost biscuit tin like quality.. 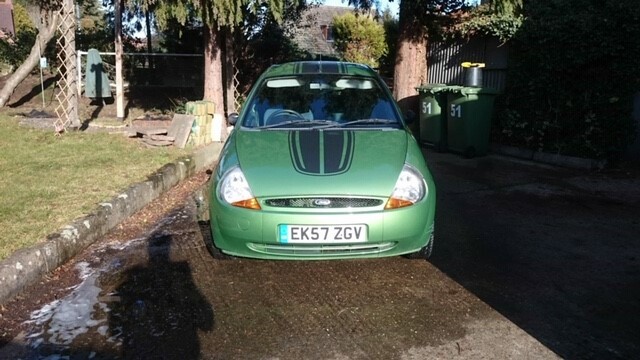 They are fun enough as it is, they are good for well over a ton on the clock (on a closed private road occifer cough) and handle superbly. The rate they rust means decent ones will be worth a packet in a few years. 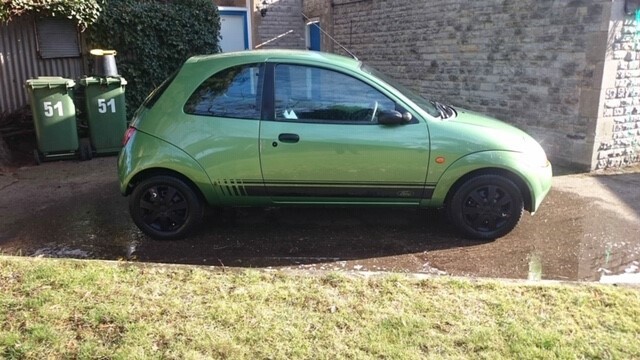 Remove the stripes and bang on some silver wheel trims and it'll sell.